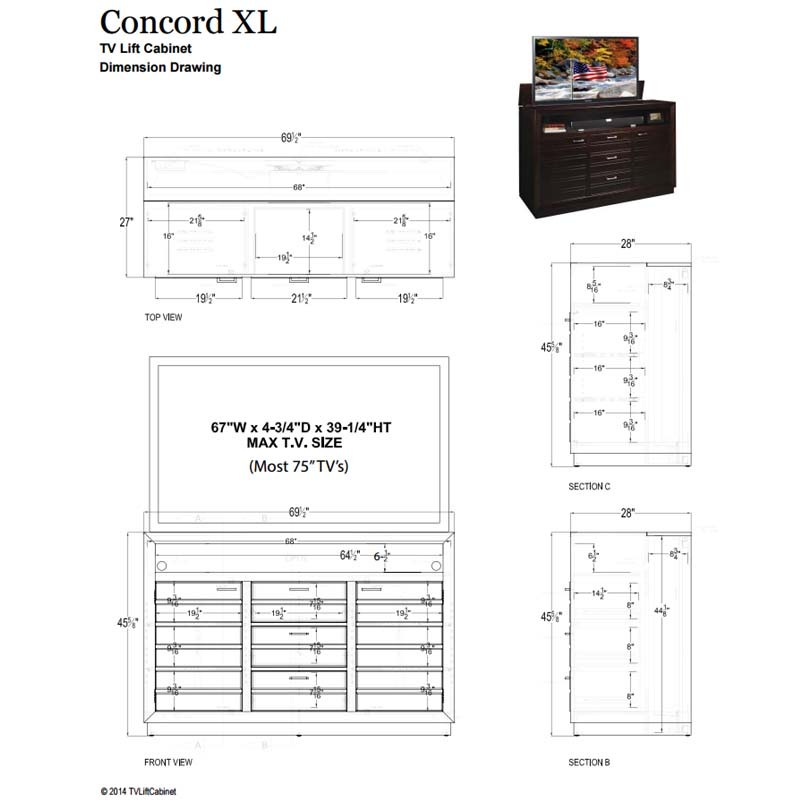 More on the TV Lift Cabinet Concord XL TV Lift for 65 to 75 inch Screens (Espresso) AT006502 below. A beautiful blend of modern day appeal with traditional functionality, the extra large Concord TV lift cabinet is made in the USA with solid maple wood in a warm Espresso finish with brushed nickel hardware. 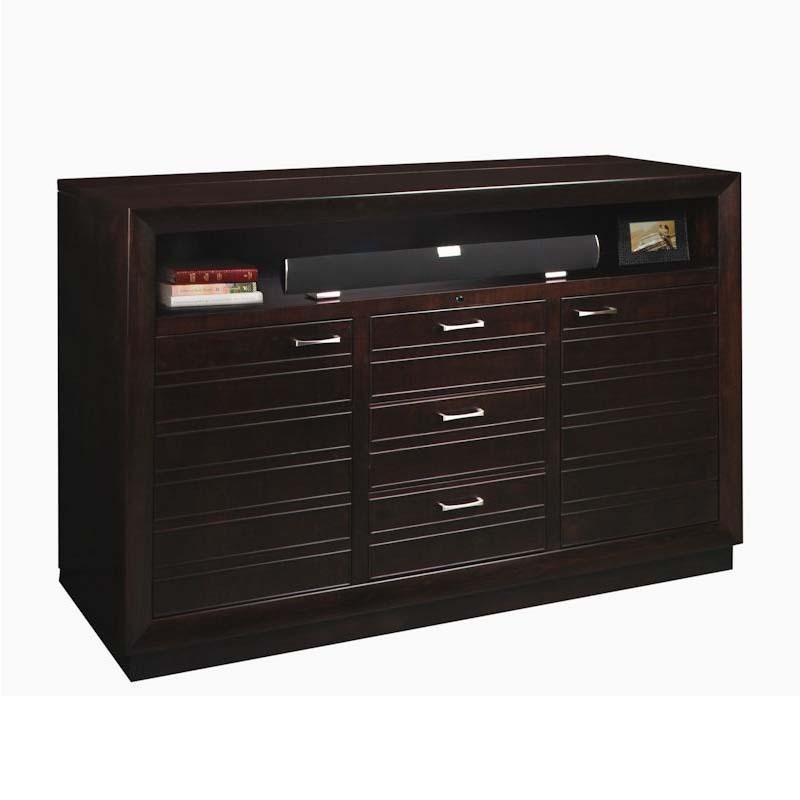 This cabinet is one of the best. Scoring high in all the parameters when comes to style, durability, and craftsmanship. 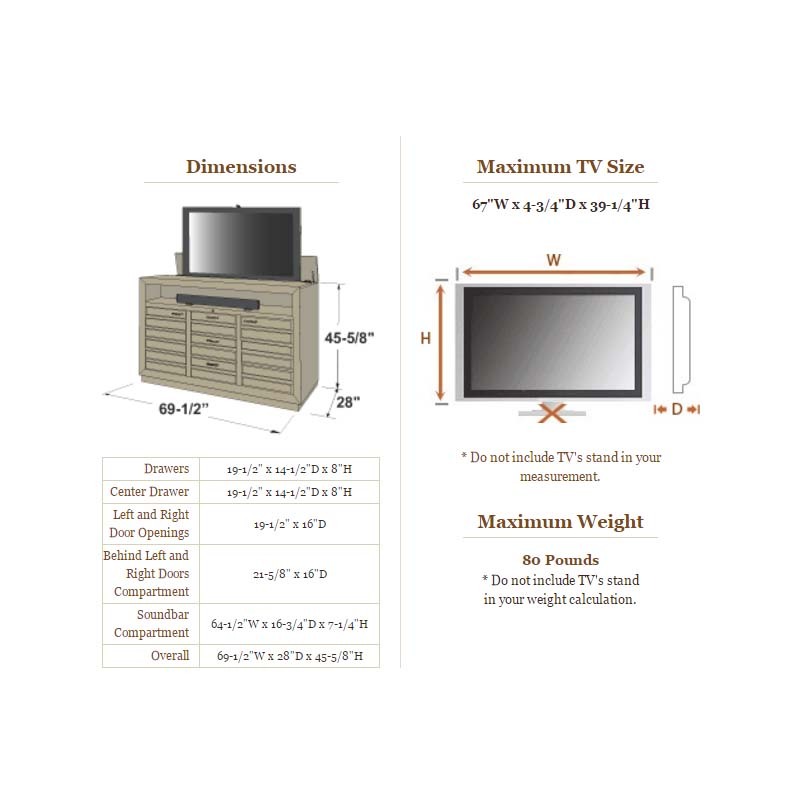 Being XL in size, it is designed to fit larger TVs measuring from 65 to 75 inches. 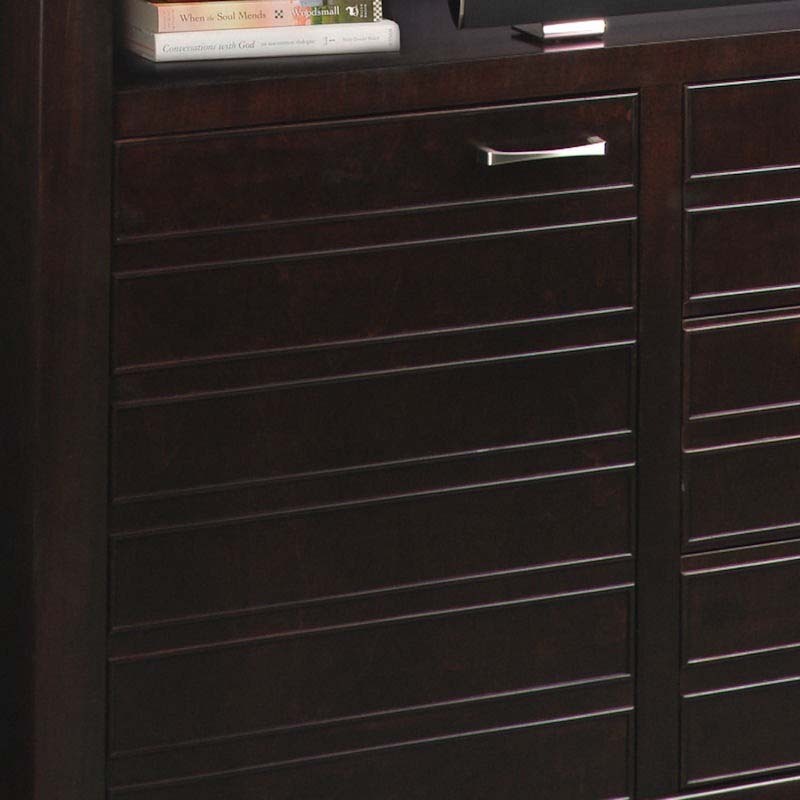 Displaying the horizontal & vertical mullion design on the doors, the cabinet features attractive half round and mitered molding frames that are interestingly adding to its depth and shadow. 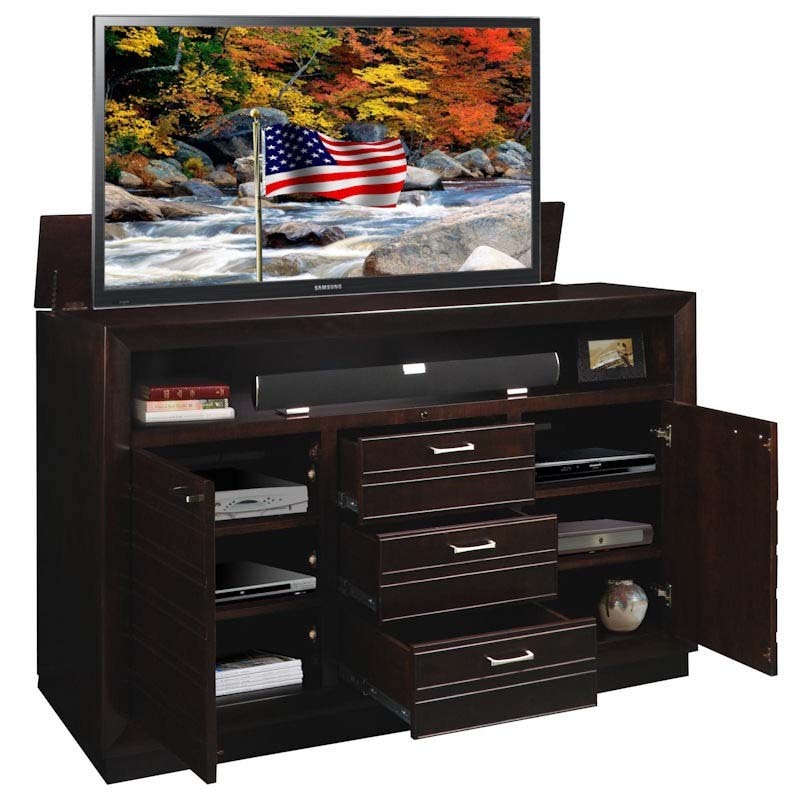 The cabinet features an infrared relay system which is built in to easily control the audio-visual equipments without opening the doors. 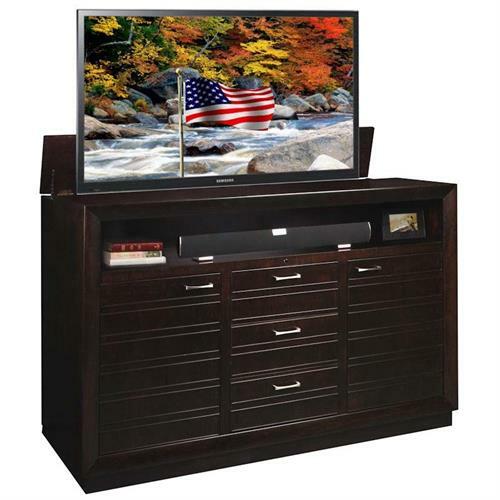 With two full length doors, four adjustable shelves and three drawers, its quite easy to keep all your media products organized hassle free at one space due to the sufficient storage area. 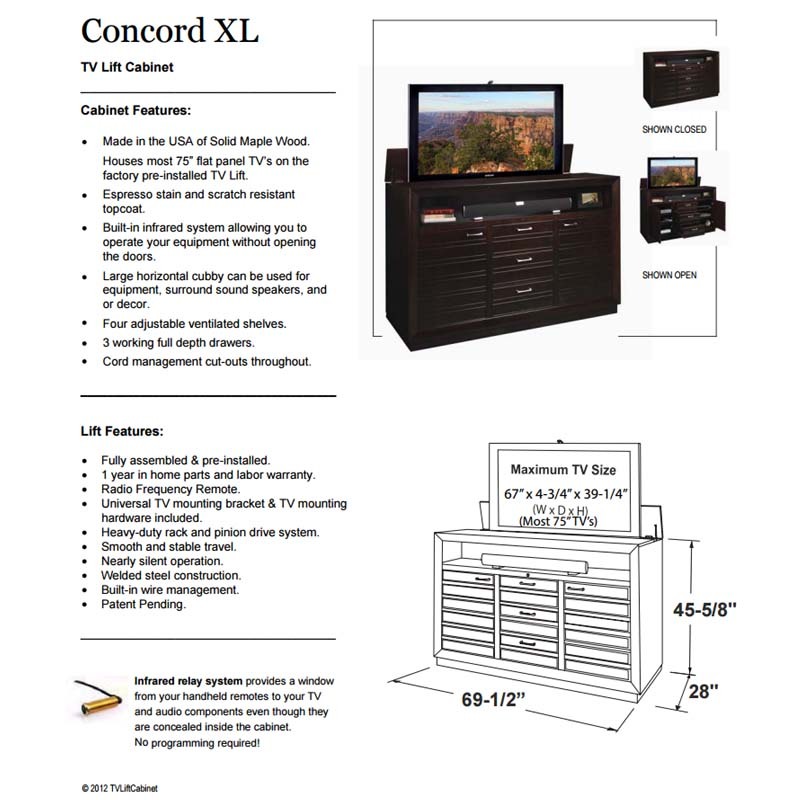 Raising or lowering your television is easy at the touch of a button with Concord XL TV Lift Cabinet. 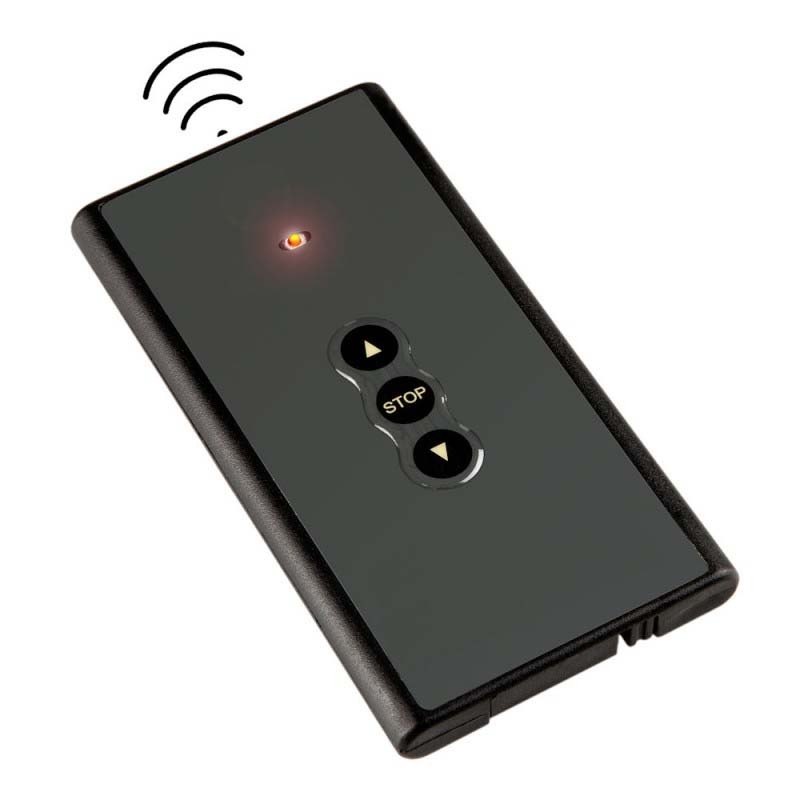 Built-in current sensing outlet. 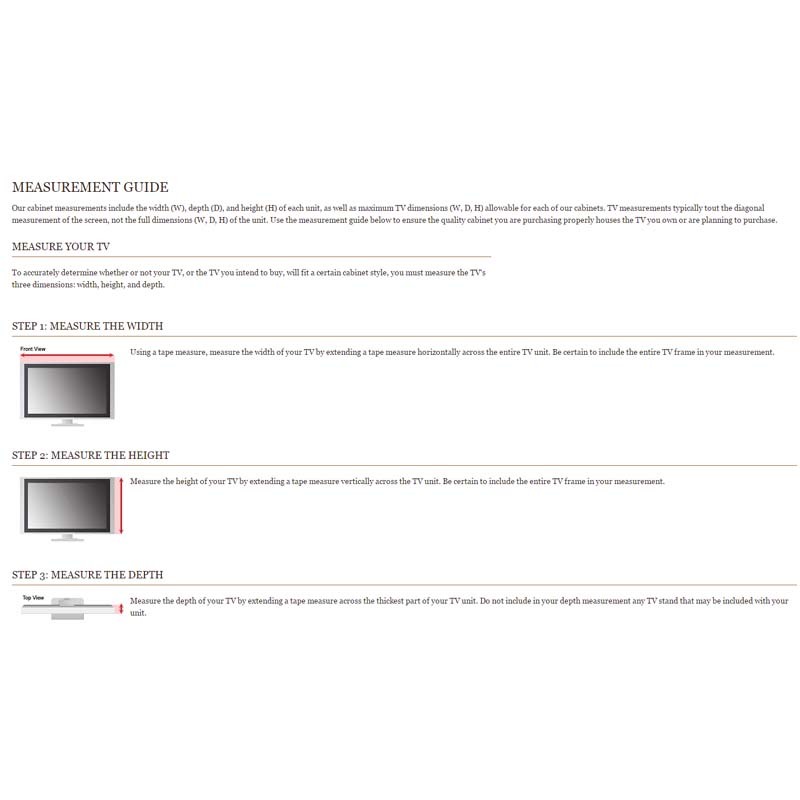 Simply turn your TV on/off and the lift goes up/down automatically. 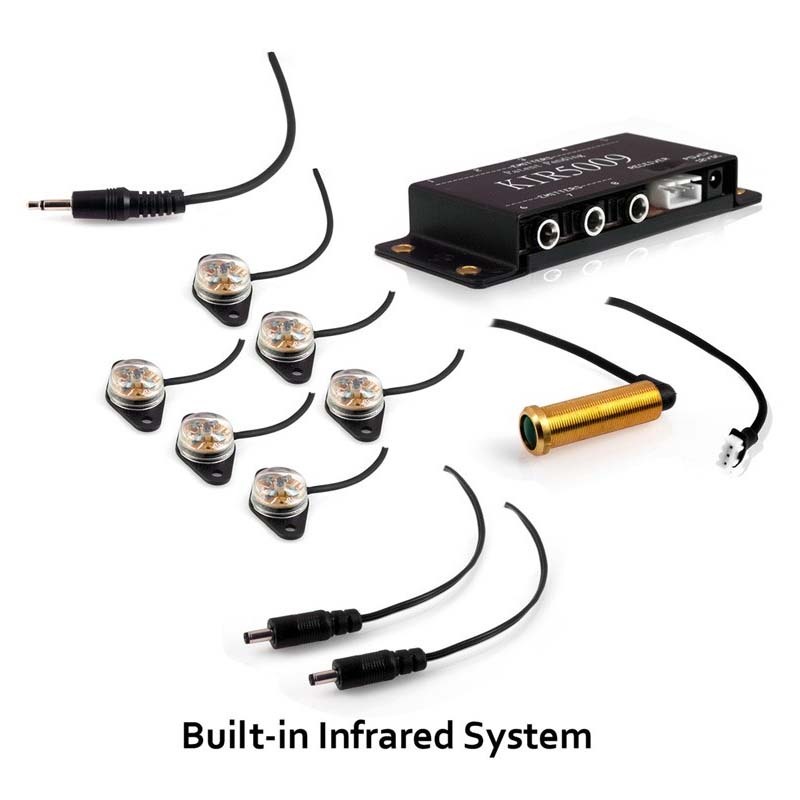 Compatible with AMX, Control 4, Crestron, etc.